He doesn't have enough people to stop a mob from dragging their lazy treasonous asses down the Capitol steps and into the street either. Perhaps the f**king morons should think about that?! 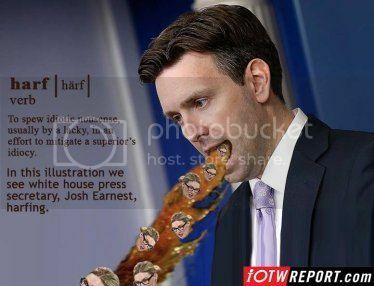 Activate the Harf Alert System! ...must be a swell deal, eh? Ushering in Sharia. Step. By. Step. WZ - "It doesn’t take much to perplex Marie Harf." She's probably still crabby because she hasn't been able to locate her lady parts for more than 18 months! But hey, Iran gonna have even more nukes! More is better in Obamaworld, right? Maybe she didn't get the memo from her Boss, who just took military options completely off the table with respect to Iran and if they comply with the weak and pointless Obama -brokered agreement or not. So, total surrender to Iran. I bet all the others will be sprinting to jump-start their programs and await their special deal with our Dear Dumbass! Certainly the Saudi's will. And what's to stop South Africa who has lots of uranium? Maybe some friendly folks will too, like Taiwan. WTF, whose gonna say boo! Nukes are like puppies...so cuddly and nice, relax and let Team Obama handle the puppies! Iran says "Bleep your inspector! Death to America! Obama says, yeah, OK.
Oh BTW it is Al-Quds Day in Iran today which basically is hate Israel day. When this administrations day of reckoning with God comes I do not believe it will be pretty. 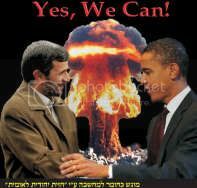 For the Obama Regime it is complete capitulation to Iran or bust. I will enjoy watching the reckoning coming to these punks! Maybe all of that stuff about shape-shifting lizard aliens is true - and they are manipulating our governments to ensure a nuclear war and the end of the huan race. Seriously, does anyone think for one moment that the out come of this will not be an attack on Israel and world war III? Do you have KI pills? If not, maybe you need to stock up. And this is a pretty neat little product ( expensive but very useful) that combines the dosometer, and both meters. I have a nukalert and a more expensive survey geigercounter from black cat ( you need a pc to use it) but I may have to pony up for one of these so I can have a device in both locations.. its actually a good deal at $750 given that you would be spending close to that anyway on a survey meter and a nukalert. and the built in dosometer could end up being quite handy. I have a NUK alert and KI pills. ...it can only mean the feckless Pubbies are poised to rubberstamp this abomination. "You asked the key question, Sean. And that is: What the hell is the president thinking of when he thinks this is a great deal? And I frankly simply do not understand. I haven't met anyone who can explain it to me,"
"I can't help but just shake my head," Cheney said of Obama. "The one thing that really disturbed me was when he said we have quote 'stopped the proliferation of nuclear weapons.' That's a lie. The fact of the matter is the situation we've got, when Iran ends up with a nuclear weapon, that is bound to lead to others in the region to protect themselves." Cheney had a dire warning about what would happen after other countries build up their nuclear arsenals. "That will in fact I think put us closer to the actual use of nuclear weapons than we've been at any time since Hiroshima and Nagasaki in World War II," he said. But hey, let's not talk about reality, lets enter the world of the progressive, the world of make-believe...and get back to what is really important - personal attacks on people who challenge the Dear Leader and accruing more power for progressive elites. What was that? Tel Aviv? Oh, is Oprah still on? So here comes the new "conservative" storyline.........Who will be the first to lie and talk repeal? ? Like obamacare? Is there not anybody out there to call this administration what it really is EVIL. If we had people that truly represented us they would be out day and night screaming on how truly awful and unconscionable this deal really is. Dennis Prager was awesome today talking about how horrible this deal is. And to be honest all of the Conservative pundits I listened to were too. But I am not hearing too much form our esteemed leaders in congress. However even though I cannot vote for him I gotta give Lindsey Graham credit. 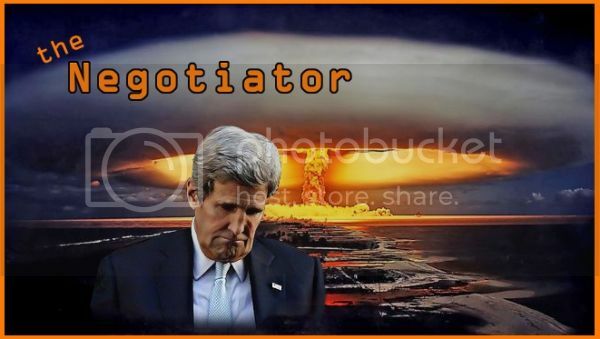 He has been all over the media and has been good at destroying the arguments that this administration is using to promote this awful, horrible, terrible, crappy, rotten, disastrous, dreadful, calamitous, catastrophic, destructive, fateful, ruinous........deal. IMHO this president and his administration dislikes you immensely and wants you destroyed. The sooner you realize this the more vital it is not to put your hope in this president. It is now time for you as a nation and as a people to get on your knees and tell Yeshua that you are sorry, repent and acknowledge Him as your Lord and Messiah. And it is also vital you give thanks to the Lord for the American Evangelical Christians. They along with American Conservatives are the best and only friends you have. In fact many of them love and support you more than many of your fellow Jews do. Ask the Lord for protection and for shelter for the pending war storm that may be brewing. May God bring judgement on this administration on their hatred for those who were chosen to bring the Gospel...The Good News to the world and to those who Love and follow the Lord Jesus our Messiah. ...but it sure looks like we're rolling into end times & this c*cksucker's taking us there full throttle. From the perspective of the Ruling Class, seriously I don't know WTF they are bitching about. It's like Limburger pointing at Munster and yelling "you stink! ".